During June Danielle, Kathryn and I demoed at the Howard County Women’s Fest to a packed room. What fun that was! 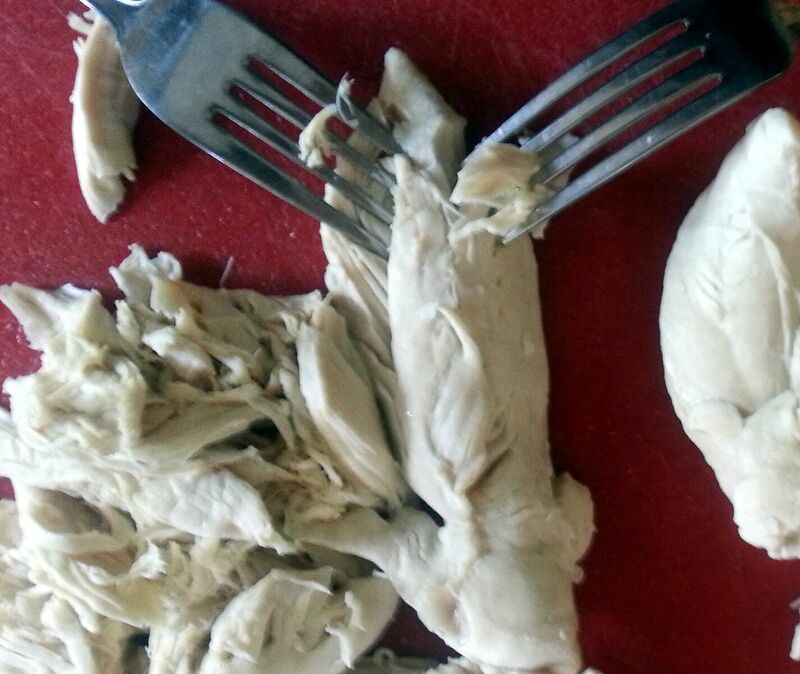 I promised the ladies that I would post the Chicken Salad recipe. So, here it is. This is one you just have to make. It is beautiful served on a bed of mixed greens with some tangy arugula mixed in, in a hollowed out tomato or between two fresh slices of whole grain bread. I tend to eat it straight out of the container. Tarragon is a pretty heady herb, so go easy. Start with less, you can always add more. Toasting the walnuts in a bit of butter brings out their amazing flavor and adds a bit of crunch, so don’t skip that step. My first encounter with a tarragon chicken salad was at a cheese shop in Lancaster in the 1980s. I messed with the recipe until I ran into the owner a few years back and she told me to poach the chicken tenders. Googling (is that even a word?) I found the Silver Palate version, which is most likely the origin for all of them. Enjoy! 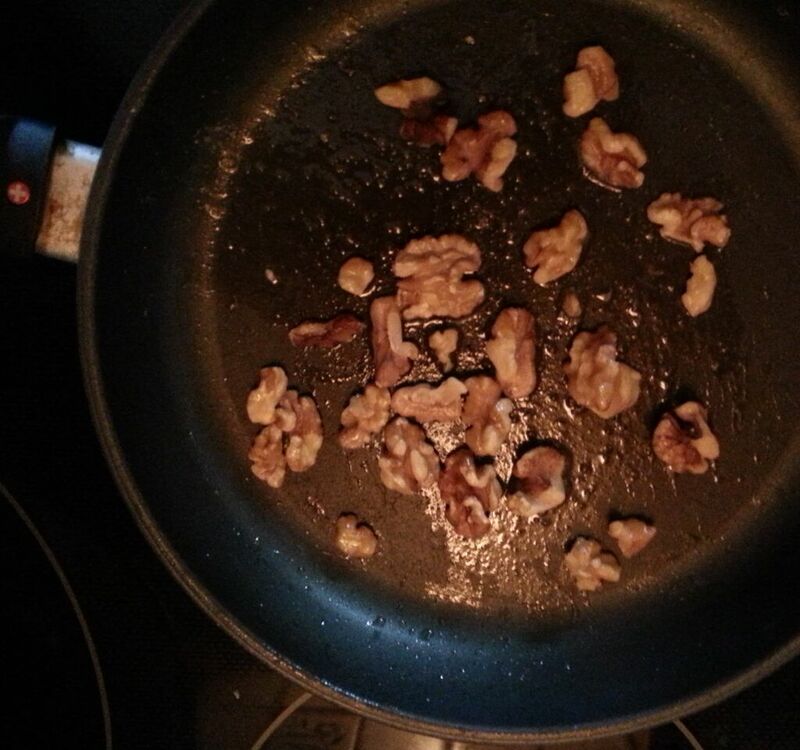 Melt 1 teaspoon butter in a skillet and add the walnuts. Toast lightly, about 5 minutes. Set aside. In a saucepan bring 3 cups of water to a boil. Add the bouillon cube to dissolve. Place chicken tenders into the boiling water and poach about 10 minutes in barely simmering water. 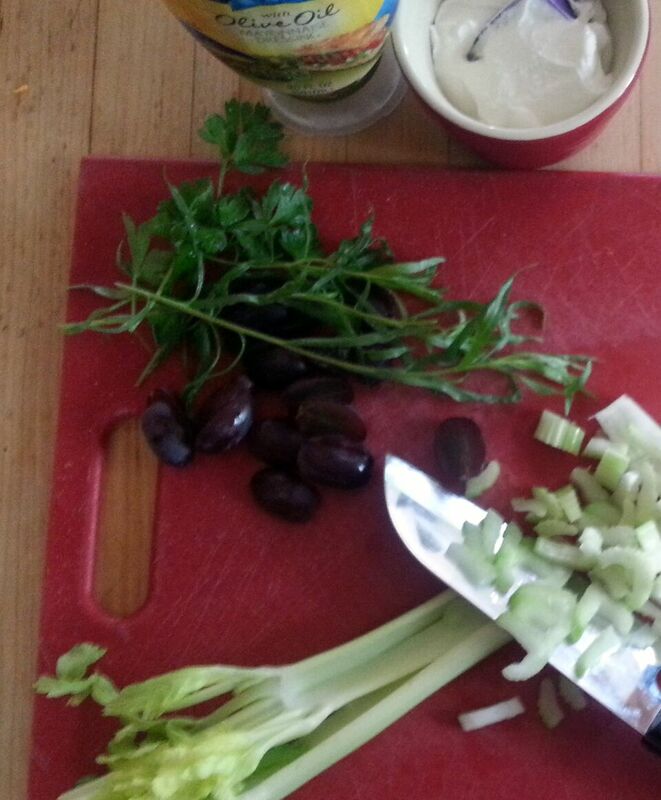 While they are poaching measure sour cream, mayonnaise, tarragon, celery, parsley, salt and pepper into a bowl. Set aside. Remove the poached tenders from the water and allow to cool slightly on a cutting board. While still warm use 2 forks to shred the chicken tenders. Add the shredded meat to the bowl with mayonnaise and sour cream. Gently toss until all the meat is covered. Add more salt and pepper as needed. Add the halved grapes and toasted walnuts. Cover and refrigerate until ready to serve but at least 2 hours. May be made the night before which allows the flavors to marry. This entry was posted in Lunch and Dinner Entrees, Soups Salads and Appetizers, Swiss Woods Bed and Breakfast Inn by admin. Bookmark the permalink.